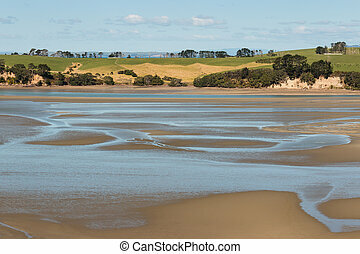 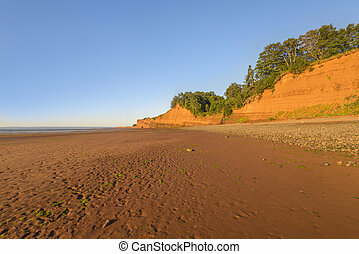 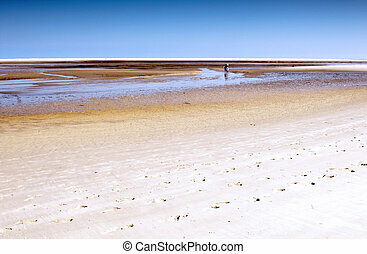 Beach at low tide. 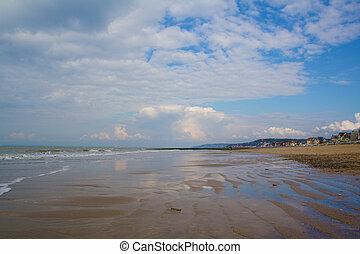 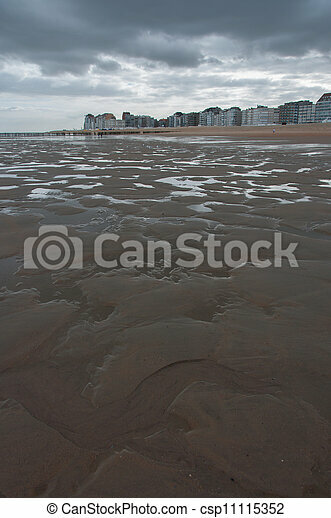 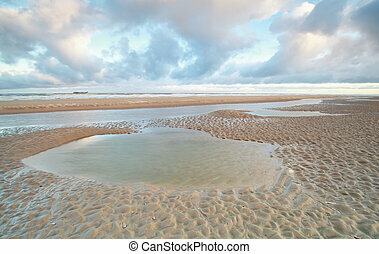 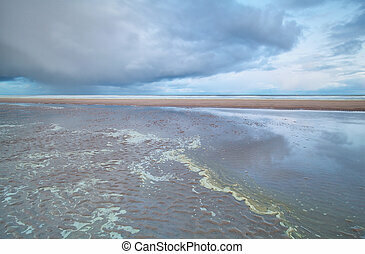 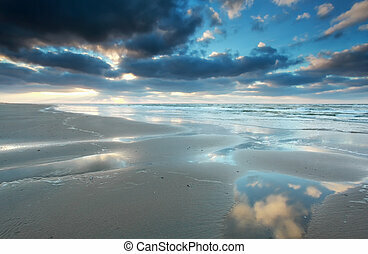 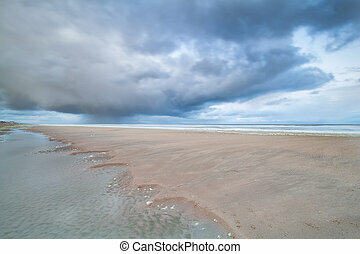 Wet beach at low tide before coastal town of knokke, belgium. 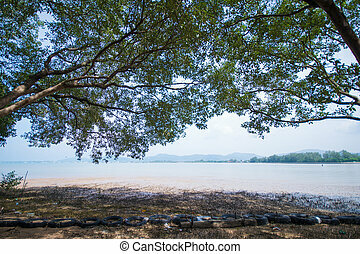 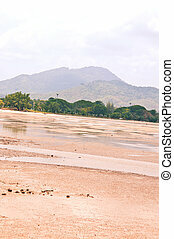 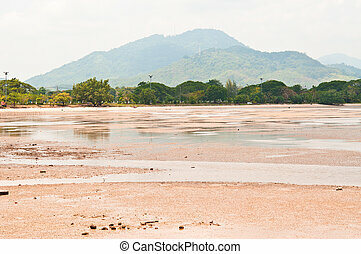 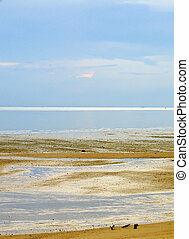 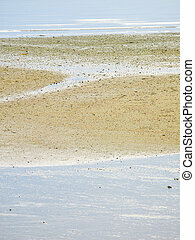 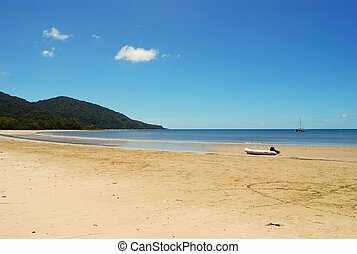 Beach at low tide in thailand. 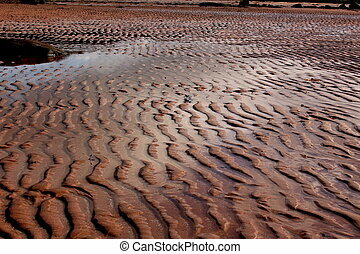 Ardrossan beach at low tide, ripples in the sand.